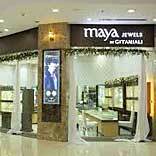 Gitanjali Group owned Maya Jewels plans to open 10 more stores by the end of current financial year. Presently, Maya Jewels has 25 stores in different Indian cities. Addressing the same, Tino Gonsalves, Head (marketing), Maya Jewels, said, “On a pan-India basis, we are going to add 10 more stores. Three more stores of Maya Jewels will come up at Rourkela, Sambalpur and Baripada in the next six months.” The company recently has its new store in Cuttack, Odisha. Spread over 2,300 sq ft, the new store offers a wide range of exquisite diamond and gold jewellery which includes traditional, contemporary, ethnic and casual designs.